If you are new to the food dehydrator then, the very first question which will surely come in your mind is that how can you tell if food is dry when using a dehydrator? We know that it is not easy to say that your food is perfectly dried or not if you are a beginner. But don’t worry as in the below article, we will answer your above query. Besides answering your question, we will also provide you some additional information that will guide you in knowing the status of your dried food correctly. So, continue reading the article! Why We Dehydrate Our Food? Which Is the Best Way to Tell If Your Food Dried When You Are Using a Food Dehydrator? 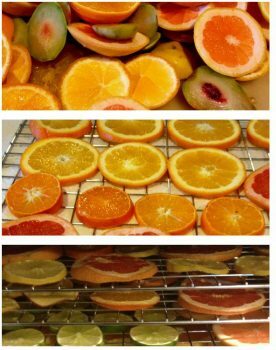 How to Tell If Your Fruits Dried While Using a Dehydrator? 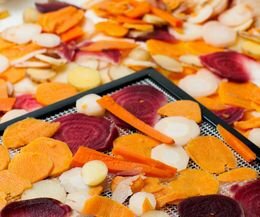 How to Tell If Your Vegetables Dried While Using a Dehydrator? Before knowing that how can you tell if your food is dry, you must also know that why we dehydrate our food. Most of us have lots of surplus food in our home, sometimes we bought them from the market, or sometimes we grow them in our garden. Now, if you do not preserve them correctly, then there are good chances the food will get spoil. That is why we dehydrate food in a dehydrator so that it can get kept for the longer duration. Do you know that what happens in the drying process? In the drying process, when you dry the food at the low temperature, the maximum amount of water from the food gets eliminated. It all benefits in the longer shelf life of the food. During drying in the dehydrator, the highest number of nutrients also get retained inside the food in comparison to the other modes of drying. The procedure of drying food is straightforward. You just have to slice your food in the width size of ¼ inches or less and put them on the trays of the dehydrator. Then, set the timer as well as the temperature and wait until your food gets dried. Now, if you are a beginner then how you will know that if your food is dried or not? Well! According to the various analyses and study, it proved that if the following percentage of water is present in the dried food, then it means they done. But how will you know that the how much content of water left in your food? In the commercial food dehydrators, the moisture content easily measured and thus you can control it as per your need. But this thing is not possible with the household food dehydrators as this feature is not applicable to them. Therefore, you have to check the drying status and pliability of your food by your hand. The best way to know your fruit is dried or not is to check their pliability. The fruits should not be brittle. Just take the piece of your dried fruit and cut in half. If you can see the moisture in the fruit then, it means your fruit not dried yet, and there are chances of the growth of mold in them. Therefore, you can say that your fruits thoroughly dried if no water comes out at the time of squeezing. Similarly, in a case of dried vegetables, they should be brittle after drying the food dehydrator. For example, if you throw a piece of dried carrot on the floor, it must get shattered. But this rule is not applicable to all types of vegetables. Some of them are juicy also like tomatoes which need to get leathery or half brittle when drying gets completed. The drying status of the vegetables also varies with the category of them you are drying. So, now we think that you have got the answer to your question that how can you tell if food is dry when using a food dehydrator. One thing you should also remember that everybody's taste and need is different from each other. So, if you want additional brittle vegetables then, you have to dry them for more time. In the case of fruits, herbs, and spices the same thing is applicable. However, you need to be very cautious while drying your food to avoid the problem of over-drying and under-drying. Checking the texture and the water content of the foods by your own hands is the only way to know that your food dried or not. However, some commercial dehydrators do come with the feature which shows the water content of the food to the user. So, you can also buy such appliances, but they are costly as compare to the household food dryers. We hope that you like the above article and if you still have any query related to the above topic then, just write to us in the below comment box. We will respond back to you as soon as possible. You can also share your kind thoughts and experiences with us as it will help us in making our article more helpful to the dear readers like you. Please suggest me the best & cheap dehydrator (along with company name & model no).It will better if rear fan type is available & repair support is available at Asansol. Looks like you are from India. I recommend you to first read our dehydrator buying guide in India here: https://dehydratorblog.com/food-dehydrators-india/ before you purchase a dehydrator. Hi Mary, We have written an article about making beet chips. Just wait a few more days.. it will be published on our blog.